Prague is one of the most beautiful city’s of Europe. The vibe and feel of the city is different from its western counterparts. The coldness of the soviet reign still lingers as you explore the city but that can all be washed down with cheap beer all over the city! 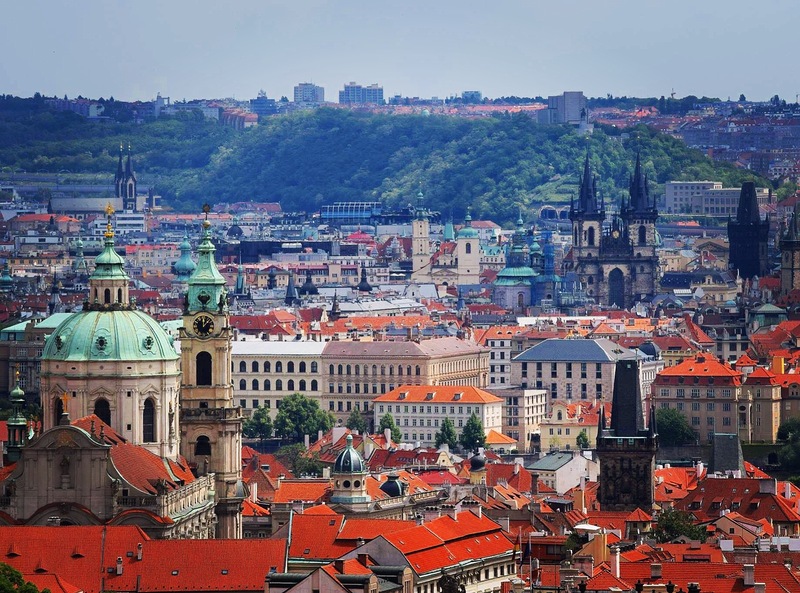 The views of Prague from the towers to the adjoining hills are stunning! If you get up early and hit the Charles bridge up you will find it pretty empty. Hike up the hill across the bridge where the castle sits for an amazing panoramic view. It is located by the monastery where the monks brew beer which you will want to go in and have a pint. You can see live classical music all over the city! There are old palaces all over the city that open their doors in the evening so you can experience it like the rich did for centuries. Promoters constantly pitch you wherever you go so take your time and pick the venue you want. When in Prague you must attend a pub crawl! If you make your way to the old town you will find plenty of promoters by the clock and you will find plenty of people asking if you want drugs as well. I would say buy at your own peril because who wants to make a feature on locked up abroad! I know I sure don’t! I personally took the pub crawl that went on a river cruise. It was a blast and was also a great way to see the city at night! Finish the night out at one of the many multistory clubs in the city! The food in Prague is amazing! It is super cheap 5-10 euro for a meal. The pork knuckle and pork neck is particularly tasty! Make sure you stop by the Lenin pub and try the pork knuckle with a few friends after checking out the famous graffiti wall! The beer in Prague is cheaper than bottled water! On average it was around 1 Euro for a beer where it was double or more for water. There was so many kinds of Czech beer I never had the same one twice! Plus drinking in the bars was the best way to make new friends with the locals so I could find out about hidden gems of the city! Tell me about your experiences in Prague! What do you love about the city? Comment below!